Ce document est réguliérement actualisé. Il est proposé à titre informatif, sans aucune garantie de quelque nature que ce soit. Les critiques, de préférence constructives et argumentées seront appréciées. Il ne sera répondu à aucune question d'ordre personnel. Veuillez consulter votre médecin habituel. Reproduction textuelle interdite sans l'autorisation expresse de l'auteur (hormis une brève citation en précisant la source). A l'exception de ces quelques lignes, ces pages sont rédigées en français. La Chikungunya reste une maladie assez mal connue, même pour un professionnel confronté quotidiennement à cette affection: ayez toujours une lecture critique, et n'hésitez pas à me signaler les eventuelles erreurs de ce document. Reunion Island, a french overseas departement with 780,000 inhabitants, is currently suffering an explosive Chikungunya fever epidemic: on mid-january 06, about 10,000 cases had been officialy recorded (unofficialy 40,000), which makes it a major public-health issue. 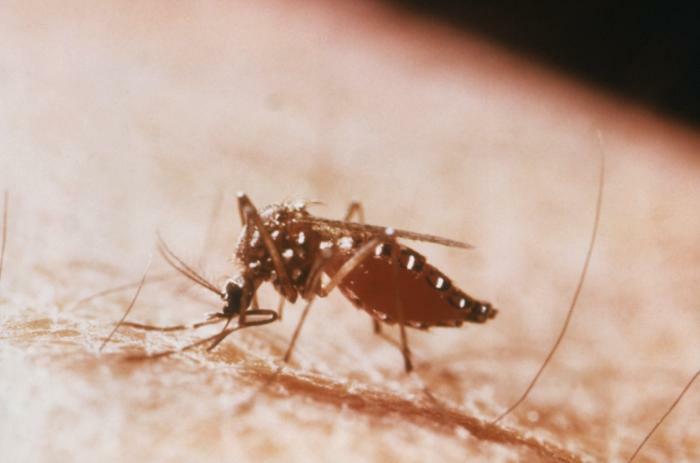 Chikungunya fever is a mosquito-borne virus disease usually found in Africa and Asia. The native name for the disease is a swahili word which means "that which bends up", because of the stooped posture of those afflicted. 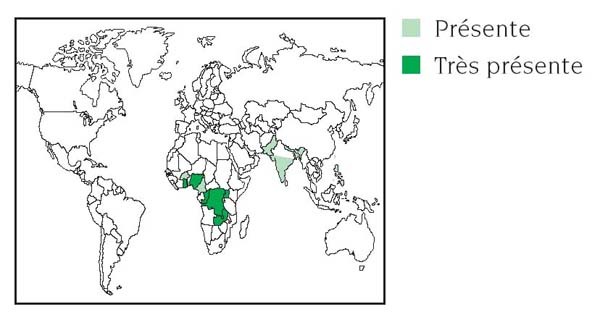 Aedes albopictus is the suspected vector of the current outbreak of Chikungunya virus on Reunion island. Most infections are probably asymptomatic. After an incubation period of 2 to 4 days, there is a sudden onset of fever and crippling polyarticular migrating arthralgias. During the second to fifth day of illness, a papular or maculopapular skin rash may occur, typically on the trunk and limbs. Most patients recover within a few days. Arthralgias may last several months. Mild hemorrhagic manifestations have been reported (Chik virus is not a cause of severe hemorrhagic disease). In Reunion Island, several cases of myelo-meningo-encephalitis have been reported, some in neonates with strong suspicion of maternal-foetal transmission. The diagnosis can be confirmed by Institut Pasteur either by RT-PCR early in illness or serologically after the fifth day of illness. There is no specific treatment for Chik virus. Anti-inflamtory drugs may releave arthralgia. Chloroquine phosphate has been used for refractory chronic arthralgias. Prevention depends on mosquito control and decreasing mosquito exposure. Update January 26, 2006 According to InVS, Chikungunya epidemic is now officialy around 30,000. It is an estimate based on a mathematical model. The number of new cases is increasing very rapidly and is estimated to around 5000 cases for the second week of January 2006. It would not have yet reached a peak. To date, no direct fatal cases have been reported. However, the epidemic seems to have a strong and very bad effect in people with chronic diseases. Update February 4, 2006 The epidemic has risen to 50 000 cases, with an increase of 15 000 in the past week alone. The chikungunya disease was not previously thought to be lethal, but 25 indirect fatalities are officially reported, mostly in patients with chronic diseases. A previously healthy 10-year-old boy is supposed to be the 1st-ever fatality in the world directly caused by chikungunya fever. On 13 Jan 2006, this young boy awoke and felt a lot of body pain with an acute fever. His grandmother gave him some paracetamol, but the situation rapidly got worse, and he became comatose. He was admitted to Saint Denis Hospital in a critical care unit, where he died within a few hours despite aggressive management. Lumbar puncture and cerebral CT scan did not favor a neurologic chikungunya complication. An extensive search for all possible infectious causes was undertaken by the Institute Pasteur in Lyon, France. CHIK [Chikungunya] virus was the only pathogen found in this case and the only explanation for the death. The family members refused permission for a necropsy, so this is a diagnosis by default. Update February 17, 2006 As expected, the situation is getting worse. Chikungunya fever has now officially affected more than 110 000 people, with an increase of 22 000 over the past week. Chikungunya fever is cited as a more or less direct cause in 52 death certificates since January 2006. Death rate has increased in 2005, and is apparently increasing in 2006, and it may have to be imputated to the current epidemic. Update March 11, 2006 The epidemic has now infected 204 000 people, with an increase of 13 000 during the last week. Chikungunya fever is now cited in 125 death certificates. The epidemic seems to be slowing down. According to InVS, Tropical storm Diwa, which struck Reunion Island on March 3rd, could have contribute to this evolution, by temporarily affecting the ecology of Aedes mosquito, vector of the illness. Update April 6, 2006 The number of people newly infected with chikungunya is decreasing from the high level seen at the beginning of the year (40000 cases a week), although it still remains very high (almost 8000 cases a week). So far, 230000 people have now been infected (29 % of the population) and chikungunya is now cited in 174 death certificates since january 06. HEALTH Minister Xavier Bertrand said that France was exploring two paths that could lead to a vaccine and treatment for chikungunya. Update May 13, 2006 Although a decreasing trend is reported since mid February 2006, the epidemic is still very active. After 15 months, this outbreak involved 256000 people, and the incidence here remains high with 1500 people infected in the past week. 215 fatalities have been reported since January 2006. Because of a lack of entomological studies, there is no clear evidence at the moment that chemical mosquito control measures put the brakes on the epidemic. Will the austral winter slow down the merry-go-round ? Some carelessly hoped so in 2005 ! And some have died, while many are still suffering daily, and many more are wondering how long it will take before their turn will come in case the epidemic would take off again next summer. Update January 14, 2007 The epidemic seems to be coming to an end. We are now seeing the tail of the epidemic, with number of new cases falling under 20 per week since almost 6 months. No new case has occured since this year. But nobody knows if the epidemic is coming to an end, or if we will see a new increase in cases in the future. On attendait la dengue, c'est finalement une autre arbovirose (c'est à dire une virose transmise par des arthropodes hématophages) qui sévit depuis plusieurs mois à la Réunion: le chikungunya. Cette maladie sévit sur le mode endémique, avec de grandes épidémies en Afrique subsaharienne (Sénégal, 1996 et 1997 ; RDC, 1999-2000), en Asie du sud-est, et dans le sous sous-continent indien. Début 2005, une épidémie apparait aux Comores, s'étendant progressivement aux autres iles du sud-ouest de l'Océan Indien (Ile Maurice, Mayotte et à La Réunion). A La Réunion, entre le 28 mars et le 19 septembre 2005, 3631 cas de Chikugunya sont identifiés, dont 980 sont confirmés biologiquement. L'épidémie atteint son apogée dans la semaine du 9 au 15 mai 2005, puis diminue à partir du mois de juillet. Les autorités sanitaires comptaient alors beaucoup sur la baisse des températures au cours de l'hiver austral pour voir s'interrompre la transmission du virus. Il n'en a rien été, le nombre de nouveaux cas reste stable depuis la mi-juillet, et ce que beaucoup redoutait avec le retour des beaux jours, favorables à la prolifération des moustiques vecteurs de cette maladie, s'est finalement produit: l'épidémie a connu une recrudescence à partir du mois d'octobre 2005 et est devenue explosive et incontrôlée en ce début d'année 2006. A la date du 3 février 2006, selon une estimation à partir d'un modèle mathématique permettant d'évaluer le nombre total de cas présentant des signes compatibles avec une infection à Chikungunya depuis le début de l'épidémie (qu'ils aient ou non consulté un médecin), il y aurait environ 50 000 cas, dont près de 15 000 cas lors de la quatrième semaine de janvier. Parmi l'ensemble des cas, seuls 2 636 ont été confirmés biologiquement.